Airports and their eco-systems are facing various levels of transformation – smart(er) technology, digital transformation, climate change and sustainability requirements, IoT and Big Data – but also passenger behaviors and expectations are changing tremendously. Empowering Customers and Passengers to provide feedback helps airports to streamline construction and passenger journey planning, determine KPIs for vendors and suppliers and maximize revenues. Coming away from the Passenger Terminal Expo at the ExCel in London, realization struck hard – airports and their eco-systems still have challenges in catching up with other industries. 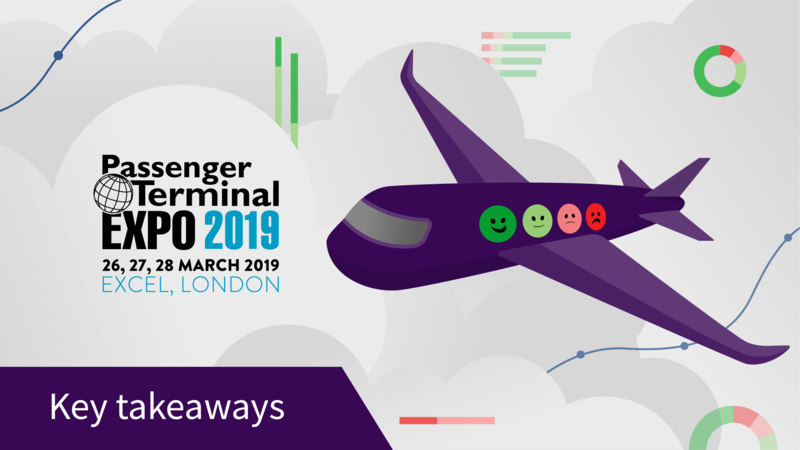 In his opening speech at PTE 2019, John Holland-Kaye, Chief Executive at London Heathrow, pointed out the biggest challenges airports face: connecting passengers from across the world, enabling industrial and commercial import / export to the world, securing its monetary impact on national and global economy and ensuring safe travels for tourists, students, and business people. And, to add, the invisible stuff – ground handling, runway maintenance and servicing, facility management, security, and so on. At London Heathrow, there are 400 different companies that need to be coordinated, with passengers as the only common ground. In times of issues, the passenger seeks for someone to take ownership: the airport operator needs to step in irrespective of the individual factors, with the main goal to help people catch or disembark their flight – all while ensuring that the in-airport experience is quick, easy, and enjoyable. It’s important that airport operators understand the impact of individual touchpoints on a passenger during their journey, by collecting continuous feedback on the experience in the moment they occur, and the impact that passenger satisfaction has on loyalty and spending habits. When customers travel daily or weekly, time spent standing in line for baggage claim or ticket control is time away from work or personal life. Immediate feedback on the airports operational performance helps minimize that time for passengers, making their experience more pleasant. Asking for feedback – and visualizing that data – tells travelers that they are listened to and that their opinion matters. Ensuring their travel experience is positive makes them want to travel with you the next time and recommend you to their colleagues. When customers travel only every now and then, their airport experience is a big deal. Infrequent air travelers are often vacationers, and their experience forms an integral part of their overall vacation experience, setting the mood for the entire trip. Food and beverage and retail concessions should be using the collected information to strategically plan resources, loyalty programs, and connecting the physical experience to digital spending. Vacationers are willing to spend good money for good food and experiences, and expectations are rising – the era of a cold hotdog at the gate are over! In our experience, understanding how the passenger perceives their experience within the airport journey by collecting their sentiment at each touchpoint, and then being able to turn those insights into improvement actions is the fundamental starting point to delivering a superior airport experience that will drive growth and revenue. Forerunners in the industry, such as our customers London Heathrow or Dublin Airport Authority, recognize how crucial it is to not only collect and analyze this data, but also share it within their own ecosystem, create KPIs for Service Level Agreements with their Security, Facility Management and Ground Handling teams or suppliers, and give insights to the Airport Operation Control Systems that help boost efficiencies, safety & sustainability of the Airports operations. To further support these requirements HappyOrNot is actively working with Business Intelligence Partners and System Integrators to support developing data models and dashboarding solutions that give Airports a 360° view of their operations – and how these affect the Passenger & Customer Experience. Jessica helps companies to understand how Customer Experience correlates with stronger revenue growth and how real-time CX Analytics support their business goals. 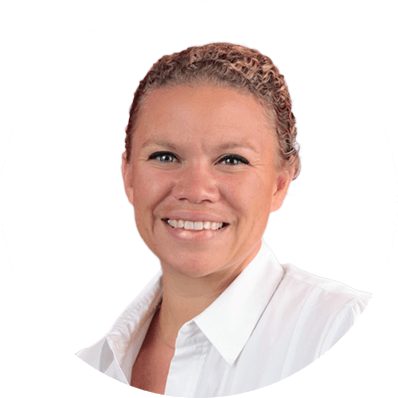 Jessica has proven track-record on Operations Management and Sales Development in various industries. Through her experience she understands the challenges leaders and managers face and is dedicated to solve them through CX Analytics.